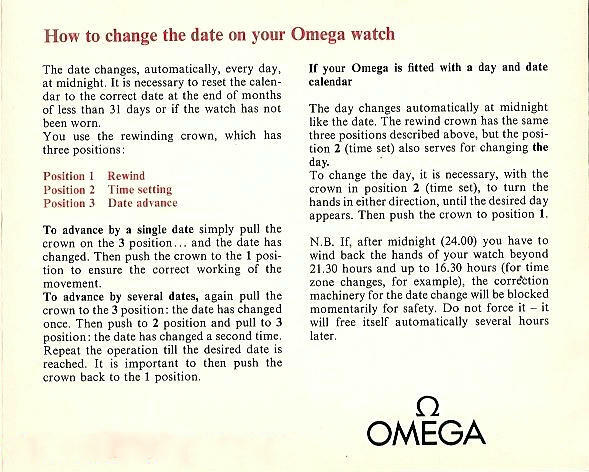 In the years 1946 to 1956, Omega offered a range of enamelled dials, both as part of particular collections and also as a customising service for those who wished to have their coats of arms or other decorative imagery fashioned into their dials. During this decade of Omega extraordinary dial designs, a range of abstract and beautifully coloured filigree designs, maltese crosses, maps of Brazil and Saudi Arabia, heraldic designs and abstract florals were offered to the discerning buyer. Perhaps the two most desirable and collectible designs, apart from custom made one-offs, are the King Neptune Seamaster and the Observatory enamelled dials. As you can see with the example above, the blending of colours in the Observatory dial is exquisite. Gold wire star shapes filled witth enamel and solid gold stars glow in the enamelled night sky. Occasionally, Omega will burst forth with a limited edition collection with enamel dials. Such was the case in 1995 with the BA 368.1201 Observatory dial Constellation that referenced the earlier observatory design. Enamelling is an exacting and delicate form of high art, and fortunately it is not a lost one. A new generation of enamellers in Switzerland offers continuity of a long-practiced craft. Little in technique has changed over the decades as this video produced by Fondation de la Haute Horlogerie is Switzerland demonstrates. Being the very fortunate owner of a couple of Pocket Watches with some beautiful enamelling on them, i had often wondered how the process was done all those years ago (100+!). The art on my pocket watches is extraordinary not just because of the content, but because of the conditions, tools etc they must have used way back then. I was amazed at the kind of images that the artist in the video was able to create with her modern tech and artistic style, but was still able to see the origins of my pocket watches in what she was doing! Hahaha, well its always good to shoot for the stars, and I reckon that the next six months will, increasingly, become a buyers market before the watch market slowly begins to turn in 2010...so those stars may be closer than we think Chris. I have one of these watches with what I was told is the Mt Palomar Observatory bezel. I am assuming it was made around 1949 when the observatory opened. Could you tell me it's approximate value for insurance purposes? good idea to click on the about me link on the rh column and send me some\pictures of the watch: dial, case and preferably movement. I can then give you some oidea od the value of the specific watch.